PTI is the most trusted name in security and new technology for the self storage industry because we have a proven track record of providing the best access control products and solutions to fit your site’s unique needs. We’ve been in the self storage industry for more than 35 years, and have more than 36,000 systems in self-storage facilities in more than 30 countries. Provide your customers with a sense of safety and yourself with peace-of-mind by having a fully integrated security system from PTI at your self storage facility. PTI’s industry leading access control and security products will help you protect your investment for years to come. With our EasyCode mobile app, providing a convenient customer experience for your renters has never been easier. From Keypads to Mobile Security Gate Solutions, Door Alarms, Site Graphics, Email Alerts, Lighting Controls, and more, PTI has your security needs covered. No security system is fully complete without the latest video surveillance cameras and monitoring technology. All of the best security products for the self storage industry are now available under one roof. 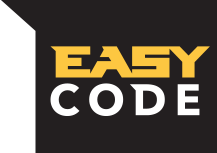 THE ALL-NEW EASYCODE APP IS HERE!